It can be difficult, exciting, and sometimes frustrating to adjust to a new culture, family, food and lifestyle, and we try to prepare volunteers for the experience of culture shock upon their arrival in their destination. It is important to realize, however, that returning home after volunteering on a placement can be a similarly jarring and overwhelming experience. Reverse culture shock is the process of adjusting back to your home life after having travelled and lived abroad for a period of time. 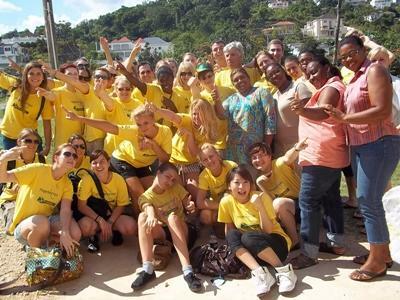 Many volunteers find they have mixed feelings about returning home after participating in a placement abroad, as they are torn between excitement at seeing their friends and family, and sadness at leaving a place and project to which they have grown attached. Just like when one is leaving to go on a trip, there are often certain expectations about coming home which are not always accurate, and the gap between these expectations and the reality of one's return can cause some frustration. The most important aspect of dealing with reverse culture shock is making yourself aware that feeling a bit alienated, out of place, or emotional upon your return is normal and very common after spending any length of time overseas. Many people come home feeling like they have grown and changed in new and exciting ways, only to find that life at home has remained somewhat constant. It can be difficult and a bit strange to get used to your old lifestyle, but you will find that there are many ways to make this adjustment a bit easier. Although it can feel like your friends or family don't understand your experience abroad or the impact it had on you, they will really appreciate you trying to share your stories and photos with them. Your parents will especially appreciate making an effort to share your adventures with them, as they will be eager to understand what you were doing, hear about the people you met and see picture of the places you visited during your time away. There are ways to try to incorporate your experience into your life back at home, including keeping active in international issues, speaking about your experience in an effort to encourage others to volunteer abroad, and continuing to volunteer in your hometown. If you are interested in these options, please be sure to view the International Issues, Inspire Others to Volunteer Abroad and Continue Volunteering pages of the Alumni website. It can also be very reassuring to keep in touch with friends that you met while you were abroad, as they are often going through a similar process of readjusting to life at home. Keeping in touch with others that you met overseas is great for keeping contacts all over the world, and it is always helpful to speak with others who are experiencing similar situations.